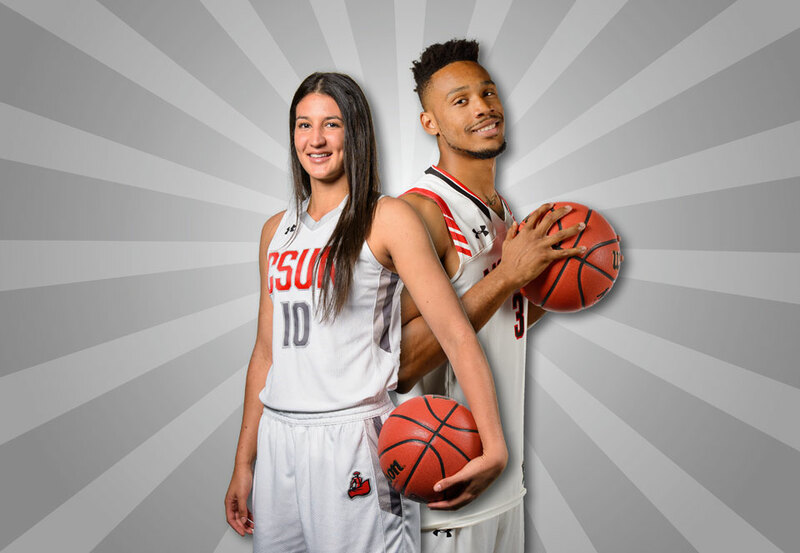 Juniors Tessa Boagni and Darin Johnson will lead the CSUN women's and men's basketball teams in a doubleheader on Dec. 3. Photo graphic courtesy Braden Villanueva. Channon Fluker is following up her stellar freshman season with a start to her sophomore where she has been nearly unstoppable in the paint and on the boards. Photo by Paul Trafecanty. 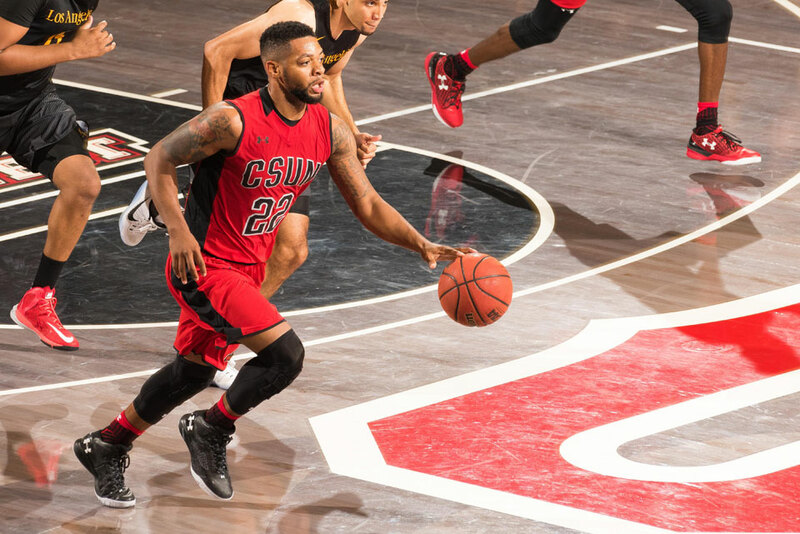 Senior guard Aaron Parks leads the way for the Matadors, averagint 14.7 points per game. Photo courtesy CSUN Athletics. 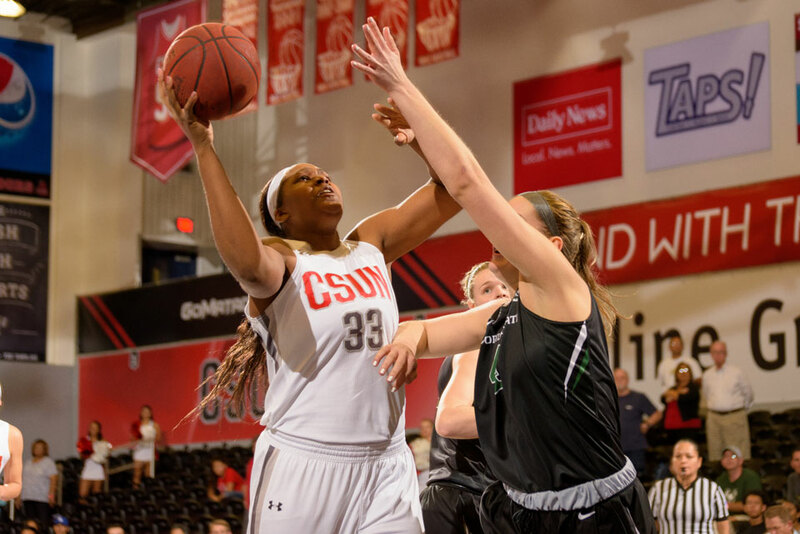 In a rare scheduling convergence that promises a fast-moving, fun evening for Matador hoops fans, the CSUN Men’s and Women’s Basketball teams play a doubleheader on Saturday, Dec. 3 at The Matadome. Leading off are the Matador men, who take on Idaho State at 4 p.m. Despite its 2-5 start, CSUN has been burning the nets, as the team has scored at least 80 points in five of its seven games. Leading the way for the Matadors are senior guard Aaron Parks with 14.7 points per game, followed by junior guard Kendall Smith, averaging 14.6 points. Closing out the evening is the CSUN women’s team, which is 3-3 and takes on Eastern Washington at approximately 6:30 p.m. The Matadors hosted the Radisson Thanksgiving Classic over the holiday weekend, and held a second-half lead in the championship game before No. 19 Michigan State made a late comeback for a 63-59 victory on Nov. 25. Sophomore center Channon Fluker has been a force for the Matadors, averaging 15.8 points and 10.8 rebounds, both team highs. She was just named Big West Conference Player of the Week, locking down the honor with a 23-point, 14-rebound performance against the nationally ranked Spartans. For more information about the CSUN basketball teams, please visit Gomatadors.com.